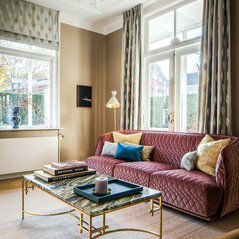 At Stock Dutch Design, we take care of the entire interior design proces. 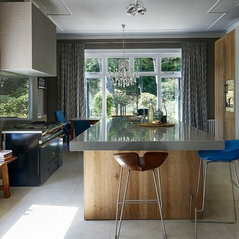 From construction supervision to selection of interior element, and designing bespoke furniture. 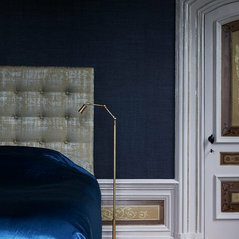 Our work is characterized by eye for detail and passion for craftsmanship, innovation, and sustainability. 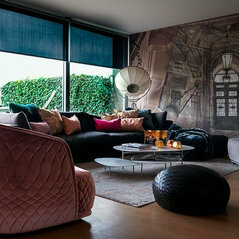 We design both private and commercial interiors, in The Netherlands and abroad, in different styles, but always with a rebellious edge and a reference to fond memories of its residents`. 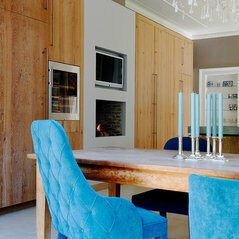 Stock Dutch Design was founded in 2005 by Leonie Hendrikse en Jeroen Stock. It all started with just the two of them in a small workshop in Amsterdam and over the years has grown into a dedicated and hard working team of creative people. 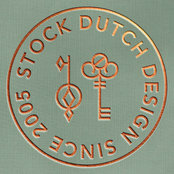 Stock Dutch Design had earned its place in the design world and is featured in many design magazines all over the globe. Stock's office is now located in the beautiful historical Barnhart Building, in the heart of Haarlem. OUR MISSION Making Enchanting Memories The renovation (or new-building) process is a very personal, vulnerable, and heart-opening experience for our clients; after all “home is where the heart is.” Therefor, our work begins with establishing a foundation of trust and understanding, and along the way we add tailor-made guidance, unforgettable service, and a lot of fun. 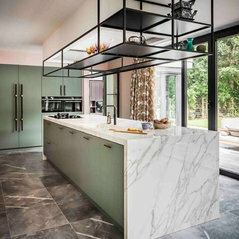 Designing a new home is a co-creation process. We listen intensely to the wishes and help to clarify the vision. Our intention is to create many enchanting moments during each step of the process. Moments that will be woven into to the family stories. OUR SIGNATURE: Future Proof Design One of our signatures is that each design is future proof. This means that we start the process with a thorough understanding of the lifestyle of the residents and translate it into a practical & durable design that will be enjoyed throughout the years. Embracing Heritage in a Contemporary Context Grandma’s chair re-upholstered in a fabulous fabric, prints that bring back memories of a trip of a life time, antique family silver in a prominent place, a picture from an memorable date in a whimsical frame, wall-paper that gives a piece of art from father new appreciation. Family stories, adventures, and precious heirlooms are incorporated in a Stock design, because this makes the house a home. 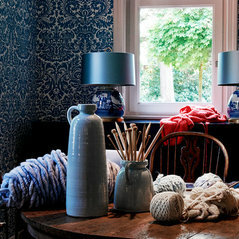 Dashing Colors and Patterns We are all about dashing colors & patterns and combining them in elegant & fabulous ways. Each Stock room has a delightful and characteristic atmosphere.